The ongoing aggressive Saudi policy for a militarized “regime change” in Syria is more an expression of internal vulnerability, trying hopelessly to avert change outside their borders lest change sweeps inside, than being a positive show of leadership and power, but Syrian developments are proving by the day that the Saudis are fighting a lost battle against change. Riyadh is fighting several preemptive battles outside its borders in its immediate proximity in a disparate attempt to prevent an historic regional tide of change from changing the country’s pre-medieval system of governance and social life. Surrounded by a turbulent changing regional and international environment, the Saudi Arabian rulers seem worried as hell that their system is facing an historical existential test for the survival of which they are unwisely blundering in foreign policy to alienate friends, win more enemies, exacerbate old animosities and trying counterproductively to promote their unmarketable way of life as the only way they know to survive, instead of reforming to adapt to modern irreversible changes that are sweeping throughout their surroundings and the world like a tsunami of an irresistible fate. Change is inevitable and if they insist on resisting it they will be shooting themselves in the legs and fighting back a lost battle, which might delay change for a while, but cannot stop it from flooding their outdated feudal type of family governance, where more than seven thousand royal princes spread over the country like a spider’s net of rulers who dominate every aspect of the political, administrative, security, military, economic and social life. True, there is the oil factor underlying the aggressive Saudi regional policies, especially vis-à-vis Iran and Iraq, which is covered up by trumpeting the not so unrealistic threat of sectarian Shiism, Iranian regional hegemony and Iran’s nuclear threat lest they endanger the Saudi similar sectarian Wahhabi theology and political prominence in the region where the United States has been the only real hēgemōn since the Saudi family came to power in the Arabian peninsula some one hundred years ago. For a country where petroleum exports account for some 90 percent of revenue, the prospect of lifting the sanctions imposed by the United States and Europe on Iran and empowering Iraq to carry on with its public plans to increase its oil production to equal or exceed the Saudi level in a few years would bring into oil market very strong competitors who in no time would end the Saudi dominance amid “a continuous decline” in international demand for oil (Billionaire Prince Alwaleed bin Talal, news.sky.com, July 29, 2013), dwindling US demand for Saudi oil (read Gal Luft and Anne Korin in foreignaffairs.com on Oct. 15, 2013) and the emergence of China as number one importer of oil in the world last September. Comparison is noteworthy here; Israel likewise has been trumpeting a hypothetical Iranian threat of a non-existent nuclear military program to cover Israel’s own proven nuclear weapons and its real reason for warmongering against Iran, namely to preempt the emergence of a regional competitor in nuclear and defense technology who would compete with Israel’s most lucrative industries in the same Asian, African and South American markets. Nonetheless, as proved by the US Secretary of State John Kerry’s visit to Riyadh on Monday, after about a century old bilateral strategic ties, the ruling Saudis have no other option but to continue risking their survival on US untrustworthy guarantees for their security and to take the advice of “Ergo” in its Feb. report last year, titled “The Waning Era of Saudi Oil Dominance,” that Saudi Arabia “must strive not to alienate the United States,” unless they decide to adapt to change internally and change their foreign policy to adapt to the regional changes as well as to the emerging multi-polar world. 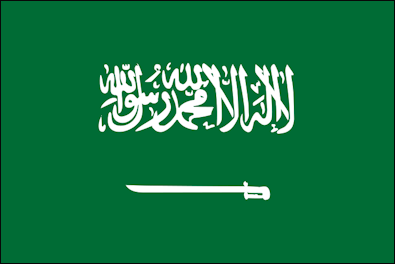 However, it is not only the oil and political factors or the sectarian or military threats that are motivating the aggressive Saudi regional policies, but the preempting of the real threat of the ideas and thoughts of change, regardless of whether they come from a rival conservative (Iran) or moderate (Syria) sect or trend of Islam or from the liberal modernity. It is true also that the Iranian pronounced “Vilayat-e Faqih” leadership of the Shiites outside Iran threatens to encourage the large Shiite minority sitting on the oil fields in the east of the country, or the Shiite majority in neighboring Bahrain, or the large minority of the Zaidi Houthis in northern Yemen just across the southern border of the kingdom, to follow the example of Hezbullah of their Shiite brethren in southern Lebanon in seeking the military and political support of Iran in their decades long struggle to end social, political and economic marginalization; hence the Saudi military intervention in Bahrain. But the real threat is much more serious than merely inciting minorities inside or beside the country to rebel and revolt. The underlying main message coming out of Iran transcends sects and minorities. The cornerstone of the Islamic revolution which late Imam Grand Ayatollah Khomeini led and swept away the more powerful and pro-American hereditary rule of the Shah of Iran was the central idea in his book, “Vilayat-e Faqih” (The Islamic Government: Governance of the Jurist), that there is no hereditary government in Islam. “Anyone who has some general awareness of the beliefs and ordinances of Islam” would “unhesitatingly give his assent to the principle of the governance of the faqih as soon as he encounters it,” the late Iranian leader wrote. Although it is public knowledge that there is no priesthood in Islam, the “elected” government reports to the “male” faqih who is “elected” from a pool of religious hierarchical elite in a somewhat Islamic copy of the Catholic process of electing the Vatican pope. The Iranian electoral message is a clear threat to the hereditary “royal” court of the Saudi ruling family to whom a similar religious Wahhabi “priesthood” report instead vice versa like in Iran. This same elected – versus – hereditary argument explains the Saudi U-turn against the Muslim Brotherhood (MB) whom the Saudi royals had nurtured financially and politically, and still nurturing in Syria , against Pan-Arabism and communism until the end of the last millennium. For ideological reasons, the MB has a very longstanding opposition to hereditary monarchies. As long as the MB was not in power and targeting only Pan-Arab and left – oriented “republican” Arab ruling regimes and political movements, the Saudis perceived no MB threat, but when the so – called “Arab Spring” brought them to power in Tunisia, Egypt and Yemen in alliance with their ruling MB brethren in Turkey, their threat became more realistic than hypothetical, to the extent that Saudis risked public disagreements with both their US and Turkish longstanding allies over their removal from power in Egypt, a Saudi – Egypt disagreement over Syria as well as the Saudi – Turkey war by their respective proxies among the armed gangs who are fighting the Syrian government. However, the burgeoning liberal pluralistic modernity as is unfolding in the “republics” of Egypt, Tunisia, Libya, Algeria, Yemen, Iraq, Lebanon and Syria as well as in the “monarchies” of Morocco, Jordan and Kuwait represents a more challenging threat to the Saudi hereditary monarchy and the pre-medieval closed society it hopelessly rules to maintain as such for as long as possible. For this purpose, Saudis succeeded in posturing as the leaders of the counterrevolution fighting both the rival Islamic and the liberal challenges in a lost battle to reverse the irreversible course of history. Adding to the Saudi vulnerabilities, both challenges are weighing in heavily on the legitimacy of the ruling family whose title to the throne of Saudi Arabia is de facto, not de jure. Voices that are marginal but loudly heard nonetheless are demanding the Islamic holy places in Mecca and Madina be declared a Vatican – like status free for the Hajj for all Muslim believers because the Saudis have no legitimate title from the Sharia to be their guardians and because they have politicized the Islamic ritual as manifested by banning the Syrians from the Hajj for political reasons. Resorting to their abundance of petrodollar wealth accumulated from their depleting oil resources could buy mercenaries disguised as Islamic “Jihadists” for the cause of their brand of Islam to confiscate legitimate popular expressions of political and economic grievances in Syria and elsewhere, could bribe their people as well as their Bahraini and Omani brethren out of any integration with the popular protests known as the “Arab Spring” and could abort popular revolts in surrounding Arab countries, but only for a while. Change is inevitable both inside and around the country. Their only hope for survival ironically lies in following in the footsteps of their bitter foe in Syria , where President Basher al-Assad wisely chose “to lead” the change and reform. Still better, they could make a U-turn in their regional policy to limit their political isolation in the region by reviving the trilateral axis with Egypt and Syria, which stabilized the region and established a solid basis for a minimum defensive Arab solidarity vis-à-vis Israel since the kingdom joined both countries in their war to liberate their Israeli – occupied lands in 1973; in such a scenario, Iran would be an added value and not “the enemy” as pronounced by Riyadh now. The alternative is waiting for change to come sooner or later to the Saudi doorsteps; it’s a matter of time only.